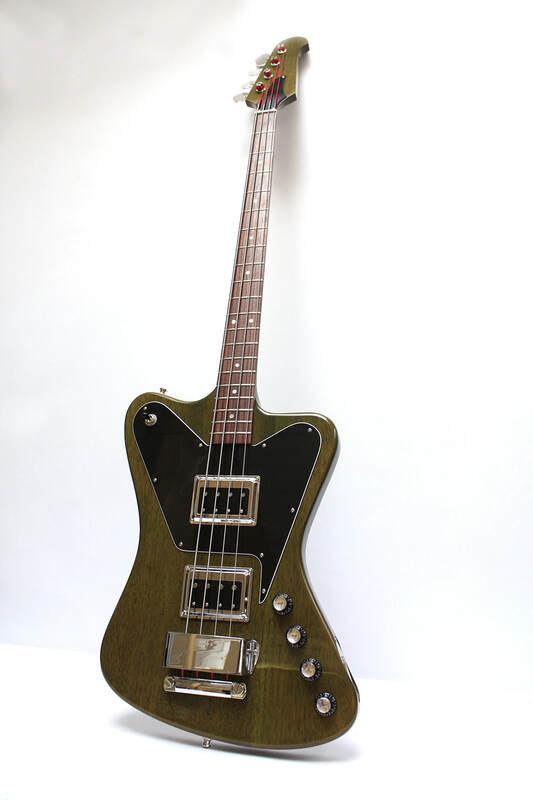 This customized T-bird bass has a slightly upscaled Non-Reverse body shape and a neck through construction.The bass has two roaring Curtis Novak Biosonic/ Darkstar pickups and individual controls for each. The fretboard is indian rosewood while the body and the three-piece laminated thru-neck are made of Khaya mahogany and reinforced with carbon fibre rods. 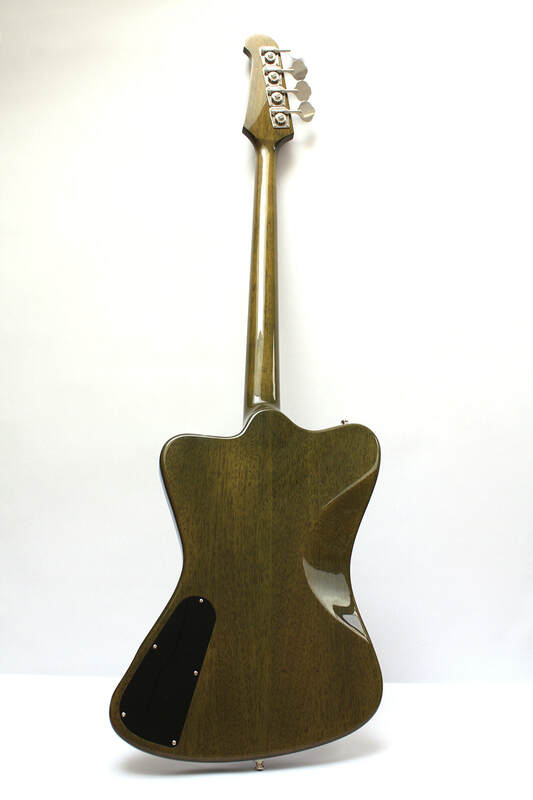 The bass is finished with nitrocellulose lacquer.